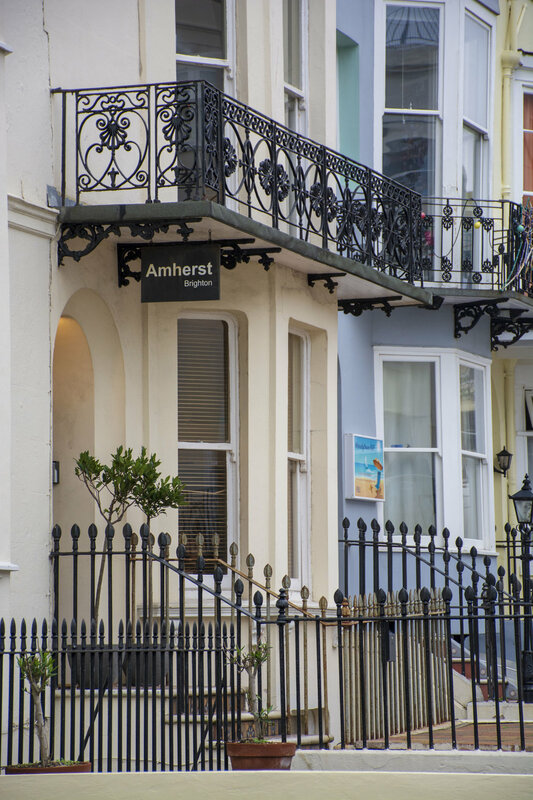 Amherst Brighton is conveniently located guest house in the heart of Kemptown only a stone’s throw from the sea with some of our rooms having sea views. The town centre is a ten minute walk with its famous lanes and a great selection of restaurants and bars. The pier is even closer so there’s loads to do on our doorstep. All of our rooms offer great quality fixtures and fittings and our pocket sprung mattresses with crisp bedding will guarantee you a comfortable night’s sleep. Although we don’t offer breakfast there are tea/coffee facilities in each room with complimentary snacks. We have also provided a kitchenette with a microwave so that you can relax and feel at home. From the top floor room we could see the sea just two hundred metres or so away. The room was very comfortable with a kitchenette and plates for the odd take away. A very big and comfy bed.